The specter of the Zika virus continues to loom over wide swaths of the global community. Its threat spans from afflicted pregnant women, whose children might be forever impacted by the birth defects the mosquito-borne disease can cause in the womb, to world-class athletes worried about catching the sickness at the 2016 Summer Olympics Games to be held in Rio de Janeiro, Brazil. In the United States, public health officials are cautiously sounding an alarm about the fallout Zika may have here. 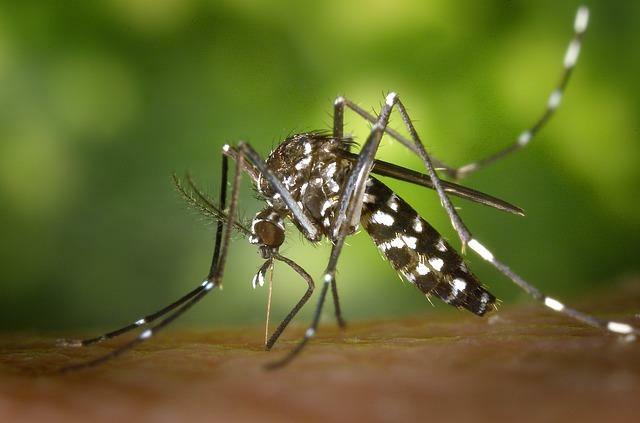 While most Americans likely have little to be concerned about, the same isn’t necessarily true of people who live in the southernmost states where native mosquito populations may be able to continue spreading the virus by biting Zika victims. In territories like Puerto Rico, that threat will almost certainly become a reality; officials from the Centers for Disease Control and Prevention (CDC) estimate that the island could see Zika cases number in the hundreds of thousands by the end of the year. Though the vast majority of people who catch Zika are ultimately no worse off for the experience, it’s still uncertain how many may suffer lasting neurological damage — specifically those children born from Zika-infected women. According to a new study published Tuesday in Vaccine, however, Zika’s potential damage isn’t just limited to the direct harm it can cause: The virus has also become the catalyst for a new generation of conspiracy theories, spread primarily through social media outlets like Twitter. The trio of researchers led by Dr. Mark Dredze, a professor at Johns Hopkins University in Baltimore, took an expansive look at tweets posted from January of this year to April 29 that mentioned Zika. They used a similar technique in 2015 to track how people on Facebook reacted to the news of an earlier widespread measles outbreak that originated in Disneyland. Rumblings of early research into a potential Zika vaccine received plenty of media attention during that five-month period, and the team specifically scoured for tweets that contained keywords referencing both vaccination and Zika, ultimately ending up with about 138,500. As the trending topic of a Zika vaccine followed a relatively steady bell curve of popularity, though, so did a small subset of tweets that proposed conspiracy theories and pseudoscientific claims about Zika. The tweets broadly landed in two piles: Those that repeated a claim that a Monsanto-owned pesticide was truly responsible for the increased cases of microcephaly, or a smaller-than-normal head, seen in Brazilian children born to mothers who contracted Zika; and those that blamed the rise in microcephaly cases on already existing vaccines and then accused pharmaceutical companies of using Zika as a scapegoat to drive up demand and money for its eventual vaccine. The latter conspiracy is likely a timely update to a familiar canard within the anti-vaccination movement. The team found evidence for this in examining the Twitter history of these users. Eighty-six percent of those who voiced the vaccine myth had tweeted about vaccines in 2015, and at least 19 percent had tweeted a distinctly anti-vaccination message. The pesticide myth, however, is one that owes its origins to the mainstream media. In mid-February, online outlet Tech Times publicized a report from a small group of Argentinian researchers theorizing that the larvicide pyriproxyfen was causing microcephaly in Brazil, since the chemical was frequently sprayed as a preventive measure against the same mosquitos thought to spread Zika. The piece, as well as the report, inaccurately described pyriproxyfen as being manufactured under the supervision of the Monsanto Corporation, which is much despised for its reputation as a producer of genetically engineered crops and a wide array of pesticides. As Dredze and his team noted, the chemical is actually owned by a company that has occasionally worked with Monsanto — Sumitomo Chemical. Though there’s still a lot we don’t understand about Zika and its connection to microcephaly and other birth defects, the evidence that it is real has since become clear, according to the CDC. Even at the time, many experts criticized the Argentinian report for being based on speculation, and Tech Times soon walked back on several of the claims made in its initial reporting. Twitter isn’t used by everyone, but Dredze noted that these sorts of myths aren’t just isolated to the platform and are dispersed through a wide variety of online sources, some less trustworthy than others. “It's not hard to find websites promoting the same Zika virus misinformation as we found on Twitter,” Dredze told Medical Daily. And indeed, the Monsanto Zika meme does live on in the more paranoid fringes of the web, aided by places like Twitter. But it doesn’t have to be this way, Dredze and his colleagues believe. By getting out in front of controversial public health topics, they say, agencies like the CDC can proactively promote accurate information rather than try to futilely debunk hardened myths after they proliferate. These communication strategies will need to be tweaked to reach the hearts and minds of different groups, rather than through an one-size-fits-all approach. And since a Zika vaccine could take as long as a decade to develop, there’s plenty of opportunity to conduct the research needed to craft these strategies. “As we rapidly allocate funds for vaccine development, we should ensure that we prepare the public for a successful vaccine campaign,” they wrote. As for fellow scientists, Dredze believes that outlets like Twitter should serve as online canaries in the coal mine. “Twitter, search data, and online forums all provide public health experts information about the health of the population, and this information is changing public health research.” he said. Source: Dredze M, Broniatowski D, Hilyard K, et al. 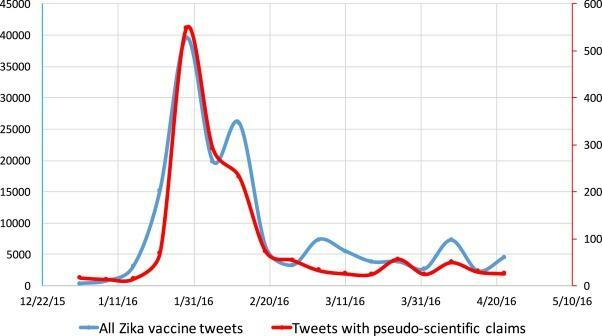 Zika Vaccine Misconceptions: A Social Media Analysis. Vaccine. 2016.